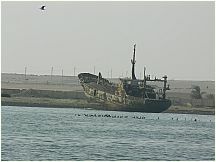 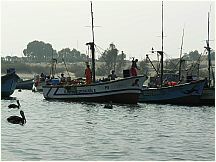 28 Free photos of El Chaco Harbor, near Pisco, Peru. 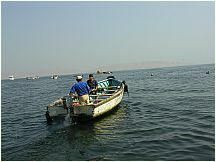 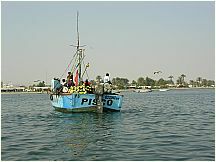 Access to most visitors to the Ballestas Islands is from the Port of El Chaco, just south of Pisco. 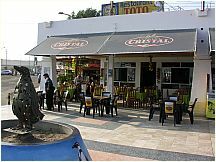 El Chaco is within the province of Pisco, in the Nazca Desert. 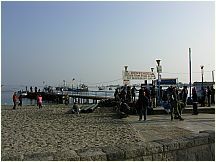 Tourists will be unlikely to have a rainy day. 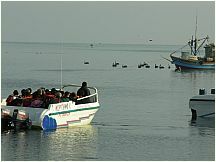 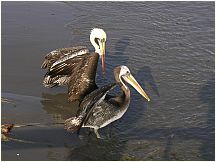 The Ballestas Islands are part of the Paracas National reserve. 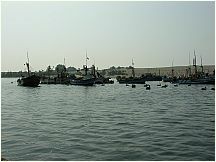 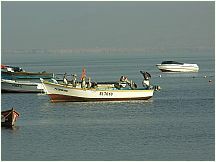 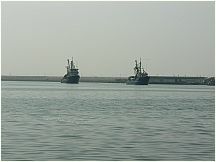 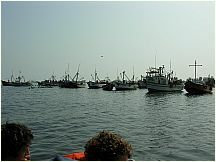 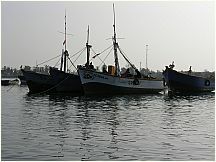 The port is also a very active fishing harbor, with fishing going on even within swimming distance of the shore. 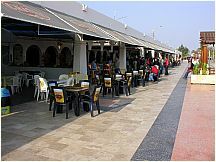 There are very nice restaurants for a morning coffee while waiting for the tour boat departure. 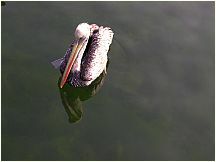 This collection of free photos has many coastal birds, both diving and resting. 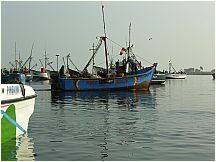 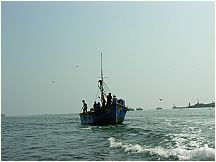 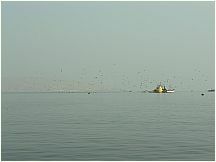 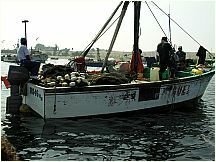 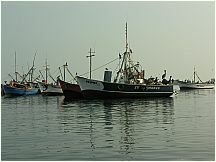 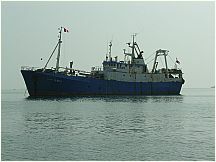 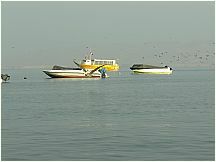 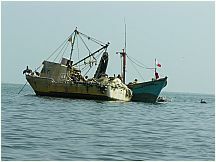 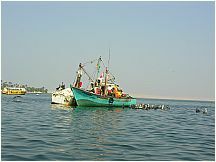 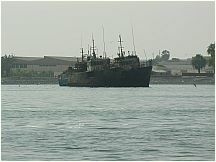 There are also several types of commercial fishing vessels, mostly tuna seiners and anchovy and sardine purse seiners. 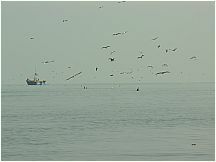 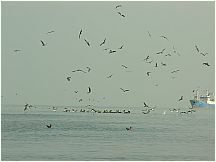 Click on the movie icon to see the birds working in the harbor. 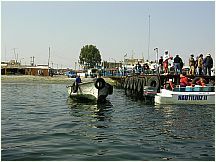 Access to most visitors to the Ballestas Islands is from this pier at the Port of El Chaco, just south of Pisco.